Günther Wirth has been working in Somaliland since 2001. In 2011, he initiated a project component focusing on the illegal wildlife trade and has meanwhile documented numerous cases of Cheetahs being smuggled from Ethiopia and Kenya through Somaliland. 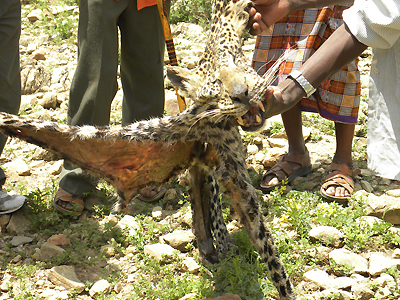 Based on his findings he estimates that around 300 Cheetah cubs are smuggled annually through Somaliland alone, of which more than two third die before they reach customers in the Gulf States. Mohamed Amin is environmental officer of the project and particularly engaged in combating the illegal wildlife trade. 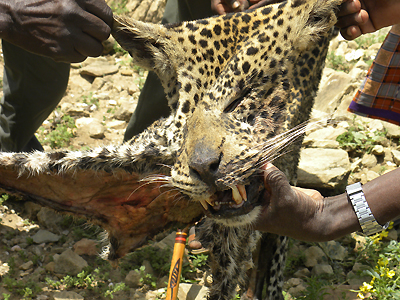 In August 2012, a Leopard was shot in northern Somaliland. The circumstances of this incident are as usual somewhat unclear, but Mohamed's following account summarizes events taken place on 26 August 2012 about 20 km northeast of Borama. 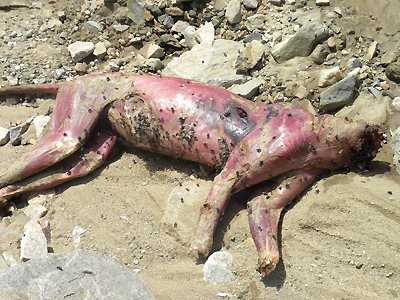 A male Leopard attacks a flock of sheep and allegedly kills four of them. Shortly afterwards two men approach the scene. The Leopard attacks and injures them. More people gather, and a group of about ten armed men try to hunt the Leopard down using about 60 (!!) rounds of bullets to shoot him. Another person is slightly injured during the course of events and taken to hospital together with his injured friends. When Mohamed visits the location he does not see any carcass of the sheep, which are usually guarded by children only. 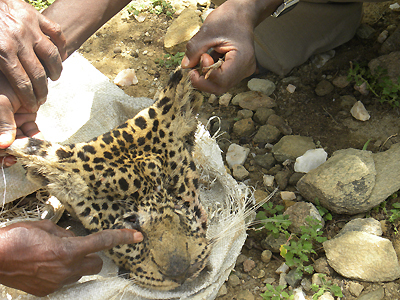 The remaining men are in the process of skinning the Leopard, and everything is back to normal, i.e. to business: they ask Mohamed how much he would pay for the skin. Somalia is a signatories of CITES since 1986. 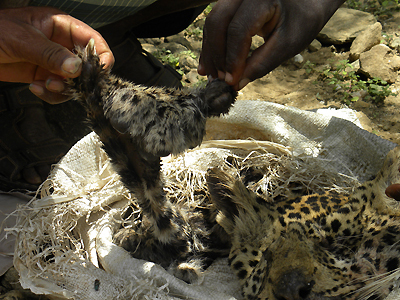 Günther wrote that Leopards are usually not traded alive in the country. 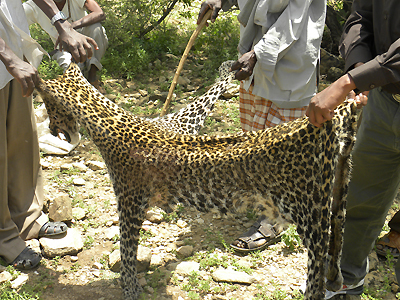 Earlier in 2012, a subadult Leopard was offered for sale in the area of Hargeisa, the country's capital. 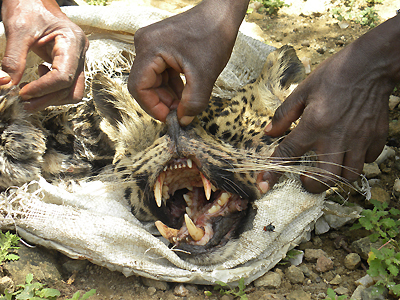 But the illegal trade in Leopard skins may far exceed the trade in live animals.